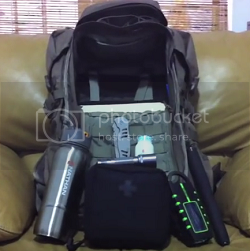 1 Comment on "My EDC Bag"
Cari….great thoughts. If you ever see DDay Preppers with three folks escaping downtown NYC you will get another idea or two. The most important one I saw was to have a functional bicycle stashed close to the start of your escape route. Those folks without one were devastated physically within an hour or two. The guy with the bicycle also carried a bolt cutter and bear spray. He thrived and could easily travel 10 miles in one hour. It brought significant ideas to me and hopefully to you. Blessings to you and thanks for writing your article.